From Fig. 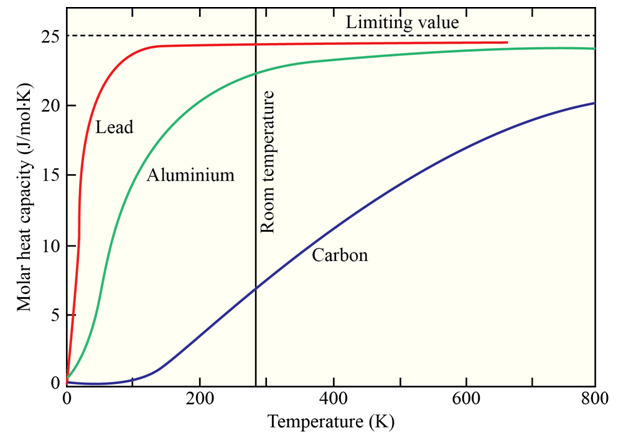 23-11, estimate the amount of heat needed to raise the temperature of 0.45 mol of carbon from 200 to 500 K. (Hint: Approximate the actual curve in this region with a straight-line segment). 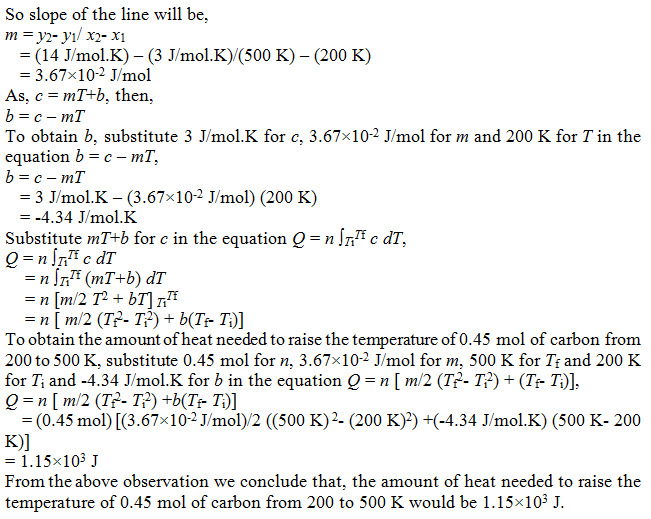 We have to approximate c first. In the below figure, we assume that the line is straight then we use c = mT+b.